This tutorial only applicable for Get Satisfaction's legacy application. If you believe in what you are good at in business, you will enjoy serving your readers or customers with your whole heart. If you are an individual managing the site, your website structure, design and content depends on your own preferences. Even if it's managed by a team, it will take the collaborative approach. Mostly your changes will depend on the intuition, knowledge, sense and ideas or feedback you get from the end users. If you have a blog or website, you know that the interaction between you and your visitors can bring new opportunities. In general, people love to know who's behind the blog or website, and likes to inquire or provide feedback. 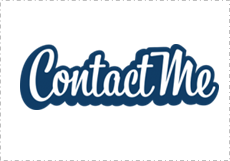 If your blog or website is representing a business, brand or organization, providing a way to contact is essential. 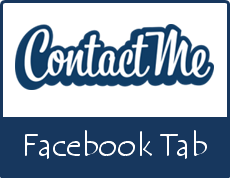 Do you have a contact page implemented for your readers or customers to contact you? 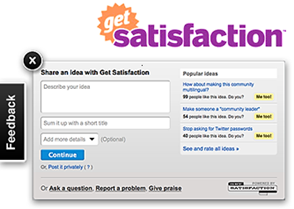 Get Satisfaction no longer offers new free support communities. While managing a blog / website, you have to interact with your visitors. They can be readers, potential customers and so on. It doesn't matter what type of content, product or service you deliver. 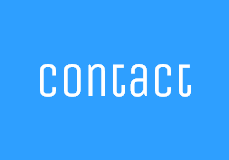 In order to improve the satisfaction of your users / customers, you have to provide a way for them to contact you, for any assistance, inquiries or to gather user feedback. Have you thought about it? What are the methodologies you make use of to get your reader feedback? Hmm... Comment form, ratings are few common ways to get feedback. Further you can expect feedback by creating an online community too. But what if you wanna get opinion about something specific? 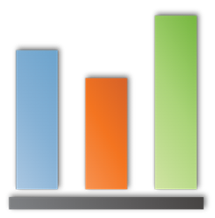 Think of a scenario where you wanna find out what is the most favorable social media platform of your readers. So what is the best method to use? You can ask it out in a post or in your online community. Some readers may drop multiple options while some readers may not even try to comment. However at last you will have to analyse them all. What about rating? That's quite good. But rating has range of possibilities. So outcome would not be specific and helpful. Think about a poll. A poll has more impact over other options. isn't it?